This large, shaggy dog is full of love, and hard to find! There are fewer than 1,000 in the world. 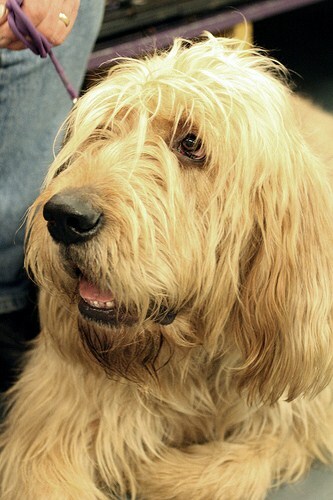 Read our breed profile of the otterhound. The otterhound is a large, shaggy dog with a goofy personality. Otterhounds are large, strong scent hounds that range in height from 24 to 27 inches tall. Females average 80 pounds while males weigh around 115 pounds. They have thick and rough double coats, webbed feet and live an average of 10 to 13 years. The origin of the otterhound is a little mysterious. While some believe the dog originated in France, records dating back to the 12th-century in England make mention of otter dogs used for hunting. Otters were destroying the fish supply, and the dogs were used to hunt them in an effort to control the population. The otterhound’s background includes several different hound breeds, including the now extinct Southern hound. All current otterhounds are said to be the product of a cross done in 1958 between a bloodhound and a griffon. The otter population decreased because of pollution, and their hunting was banned in 1978. Old hunters were repurposed as companion animals or mink hunters, and the otterhound was crossed with a terrier to create the Airedale Terrier. Otterhounds made their debut in the United States in the early 20th century and were first exhibited at a 1907 dog show. They were registered with the AKC in 1909. The Otterhound Club of America was founded in 1960 to preserve the breed, which is considered the most endangered breed in Britain. There are fewer than 1,000 otterhounds left throughout the world, although efforts to preserve the breed are ongoing. The Otterhound is a hunter, companion animal and occasional show dog. Its unique, webbed feet allow for hunting in water as well as land. Otterhounds are independent and can have comical personalities. They love being part of a family but are not as attached to their owners as some other breeds. The large dogs are enthusiastic and easygoing, but they can be a bit clumsy. They are not recommended for households with young children or the elderly because of their size and clumsiness. They are loving and affectionate dogs that draw attention for their rarity. Otterhounds also howl — loudly. Some may not be as loud as others, but they are known for having a deep bay. The dogs will bark or make noise when standing watch, but they are not good guard dogs because of their friendly disposition. The breed is slow to mature physically and mentally, according to the OCA. They are also a bit stubborn and can take time to train. They enjoy a good amount of exercise, but some of them can be sedentary. If you allow yours outside, you will need a very secure enclosure. Otterhounds can pick up a scent and will be determined to find its source, and some can reportedly jump fences as high as 5 feet! Because of their desire to track scents, they should always be on a leash when outside a contained area. If you prefer a clean house, this probably isn’t the dog for you. Otterhounds have a rough double coat and require regular brushing and clipping. Their webbed feet are famous for tracking in mud and debris, and regular bathing may be necessary. If brushing is not done on a regular basis, matting is possible. Otterhounds with an unusually soft coat are especially susceptible. Their big feet can be hairy, and regular trimming will help reduce debris tracked inside. They are also famous for plunging their muzzle into their water bowl and sometimes submerging their entire head. The dogs do not have an odor, but if not kept clean their facial fur can develop a smell. Trim the nails weekly and be careful not to inflict pain or cut the quick; otterhounds are said to have strong memories of unpleasant experiences and have trouble with excessive bleeding. If you notice an odor coming from your otterhound, check the ears and mouth to see if they need to be cleaned. If the odor is not originating from those areas or a soiled coat, it could be a sign of another problem and is worth a visit to the veterinarian. As with any large dog, the presence of bloating can be painful and life-threatening. This risk can be reduced by feeding when the dog is calm and from a raised bowl to limit air intake. Exercise should not be encouraged around feeding times. Hip and elbow dysplasia are common problems for the otterhound. Another medical concern for the breeding is excessive bleeding because of the blood’s inability to clot effectively, and this was passed down genetically through breeding. 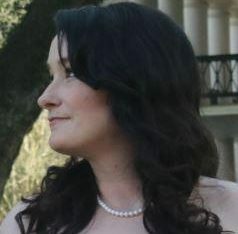 Other potential medical problems include epilepsy, tumors, ear infections and hypothyroidism. If you don’t mind a large, shaggy and sometimes loud dog that can be clumsy and goofy, you have a friend in the otterhound. If you have young children, elderly residents or prefer a spotless house, this dog would not be a good fit. Be prepared to provide a secure enclosure, groom regularly and buy a lot of food to feed this large dog. You should also be prepared for a wait — the dogs are extremely limited in number, and there is a waiting list.